The footballing world awaits with bated breath - could this really be the end of one of the most dominant dynasties in recent football history? Spain have to find a way to bounce back from their truly stunning 5-1 defeat to Netherlands - the biggest loss ever suffered by a defending champion at a World Cup. They are notoriously bad starters at tournaments. Four years ago they went on to become the first team to lift the World Cup having lost their opening game, when they were shocked by Switzerland. But this is different. Friday's thrashing was so damaging that it is going to take some recovering from. Midfielder Xavi said it was the worst defeat of his long and storied career, while coach Vicente Del Bosque said after the game that the result was "unexplainable". How they must wish they could switch their fixtures around and face Australia now rather than a red-hot Chile side whose quality has got Del Bosque "worried". Chile's dangerman is a player the Spaniards know all about. Alexis Sanchez will line-up against a host of his Barcelona team-mates and is in superb form. He scored one and assisted another as the Chileans raced in a 2-0 lead after 14 minutes against Australia, but it certainly wasn't plain sailing after that and their lack of height at the back, a real weak point for them, was exposed by Tim Cahill. These two sides met in the Maracana Stadium in 1950 - the last time Brazil hosted the World Cup. Spain won 2-0 in front of a reported crowd of just 16,000 - the final was watched by an incredible 174,000. It's not a ground the current crop of Spanish players have fond memories of, though, having lost 3-0 in the final of the Confederations Cup to Brazil last year. That defeat exposed weaknesses in a previously unbeatable line-up. The defeat to the Netherlands exposed even more. Will Del Bosque continue show loyalty to a crop of players that have brought so much success, but now look tired and one-dimensional, or try to freshen things up to salvage their dream of becoming the first side since 1962 to retain the World Cup? The Spain coach said: "There will be changes, but few. We can't blame anyone, we lost the game. We just have to look forward. In life, there are solutions for everything. It's still in our hands. "It's good to be a little anxious, but always in measured doses. Anxiousness can also allow you to play better. The worst thing would be indifference." Spain's Barcelona midfielder Andres Iniesta admitted: "We have to win by whatever means necessary. "I feel that we are prepared to win. We had a tough start and I feel like what happened (Friday) is in the past. We had the same situation in the last World Cup, but this time is different." Chile have never beaten Spain, but know a draw would represent a positive result after the 3-1 opening game victory over the Australians. Midfielder Marcelo Diaz, 27, said: "A draw is not bad, but this group of players does not come with the idea to draw a game. We came out here with the idea of winning." Chile have never beaten Spain in 10 previous encounters (D2 L8). Spain have won their last two meetings with Chile at World Cups. They won 2-0 in 1950 at the Maracana Stadium, where this match is taking place, and then 2-1 in 2010. The last time Spain lost back-to-back internationals was in 2006 (3-2 v Northern Ireland and 2-0 v Sweden). Their 5-1 defeat to the Netherlands was the first time they had conceded five goals in an international since losing 6-2 to Scotland in June 1963. They had only once before conceded five or more goals in a World Cup game (6-1 v Brazil in 1950). The Spaniards conceded more goals in 90 minutes against Netherlands than they had in their previous nine internationals combined (four). Spain's 5-1 loss to the Netherlands was the heaviest margin of defeat by a reigning World Cup champion in the history of the tournament. The previous heaviest defeats were Brazil losing 3-0 to France in 1998 and West Germany losing 6-3 to France in 1958. Chile have lost their two previous World Cup games against the defending champion, both against Brazil (in 1962 and 1998). Alexis Sanchez has been involved in seven of the last eight goals that Chile have scored (six assists and one goal). Against Australia, Sanchez became the first Chilean to score a goal and provide an assist in a single World Cup game since 1962. 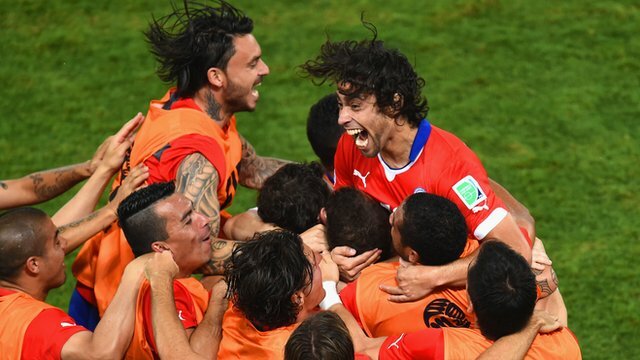 Chile scored three goals in a World Cup game for the first time since 1962. After the extraordinary 5-1 win over world champions Spain, the problem now for the Netherlands is managing expectations. The Dutch have suddenly gone from unfancied also-rans with no more than a "20% chance" of reaching the quarter-finals according to their coach Louis van Gaal, to having a superb opportunity of topping Group B and avoiding a probable second-round clash with Brazil. 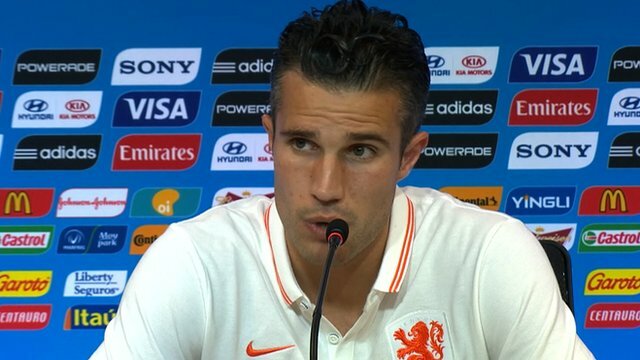 Captain Robin van Persie, though, is keen to temper the hopes of a nation that skyrocketed in the space of those 90 incredible minutes. "This is my fifth (major) tournament and I know how these things work," he said. "The euphoria vanishes just as quickly as it appears." The Dutch camp is all smiles, and that's not something you can say about them very often at a major tournament. Van Gaal, it appears, is not just a master tactician but also a master psychologist capable of unifying a squad that is traditionally one of the most fractious in world sport. "I'm bringing the wives and girlfriends again to the team hotel," Van Gaal said. "All through my career as a coach I am interested in the psychological state of my players. If my boys are happy, then I am happy." Facing a buoyant Dutch team spearheaded by an in-form van Persie and Arjen Robben must be a daunting prospect for Australia. However, they really grew into their match with Chile and battled back well from a horror start in which they looked like the youthful, inexperienced side they are. Tim Cahill once again proved to be their inspiration and a 3-1 defeat was a little harsh on reflection. The facts are, though, lose in Porto Alegre and their World Cup will be all but over. The loss of Ivan Franjic, the only recognised right-back in their squad, to injury is the last thing the Socceroos need with Robben ready to run at them. Media reports say that Robben set the fastest sprint ever recorded by a footballer of 37km per hour when he outpaced Sergio Ramos to eventually score his second goal. Not bad for a 30-year-old. This is the first time Australia and the Netherlands have met in the World Cup. Australia are unbeaten in their three previous meetings against the Netherlands (W1, D2). Their last encounter was on 10 October 2009 in a friendly which finished 0-0. Australia have won just two of their previous 11 World Cup matches. They have only won one of their six World Cup encounters with European sides (2-1 v Serbia in 2010). They have never kept a clean sheet in any of these games. Against Chile, Tim Cahill became the first Australian to score in three World Cups. No other Australian has scored in more than one tournament. Australia have scored a total of nine World Cup goals - Cahill, with four goals and one assist has now been involved in 56% of them. The Socceroos had nine shots in the second half of their opening match against Chile, only one fewer than the Chileans managed in the whole match. The Netherlands are unbeaten in their last 11 World Cup group matches, winning eight and drawing three. Their last group stage defeat came back in 1994 versus Belgium. Robin van Persie has scored 10 goals in his last nine appearances for Netherlands, and Arjen Robben has seven in his last seven. 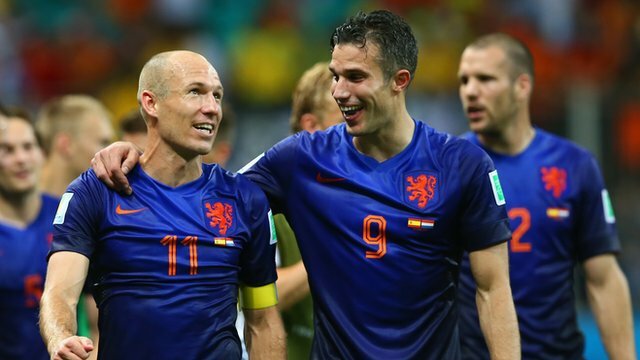 Following their goals against Spain, Van Persie and Robben became the first Dutchmen to score in three different World Cup tournaments (2006, 2010, 2014). Doha: World 800 metres champion Mohamed Aman of Ethiopia is the latest star to join the field of the IDL Doha 2014, the kick-off of the 14-meeting IAAF Diamond League series on Friday. Aman, who raced to world championships gold in Moscow last summer, successfully defended his world indoor 800m title in Sopot, Poland two months ago. The Ethiopian record holder is the last man to have beaten world record holder and Olympic champion David Rudisha, who was forced to withdraw from Friday’s race due to injury.Aman is the latest name to join the invasion that overwhelms Doha every May. It’s a friendly incursion, one in which the leading roles are played by Kenyan and Ethiopian middle and long distance forces who either simply come and dominate an event on their own or settle their rivalry scores on the track of the Qatar Sports Club. This year it’ll likely be at its most apparent in the women’s 3,000 metres where Genzebe Dibaba will set out to continue a break-out year in which she’s already set two world records. The 23-year-old Ethiopian shattered world indoor standards at both 1,500 and 3,000 metres in February; in the latter with a performance the world hasn’t seen in more than two decades, indoors or out.